Yizi (previously named Amali) was born at Auckland Zoo in 2001. She and her sister Amani (previously named Kutaza) were transferred to Adelaide Zoo in 2002 and remain there to this day. In 2004 she gave birth to a litter of cubs. One died, however, but two males and one female survived. Amani (previously named Kutaza) was born at Auckland Zoo in 2001. She and her sister Yizi (previously named Amali) were transferred to Adelaide Zoo in 2002 and remain there to this day. Amani is the dominant sister. Amira was born at Auckland Zoo in May 2001. She gave birth to two cubs in March 2004; a male named Zulu and a female called Zalika. Kura was born in 1998. In May of 2001 Kura gave birth to four female cubs, Alani, Amira, Kutaza, Kuchami. 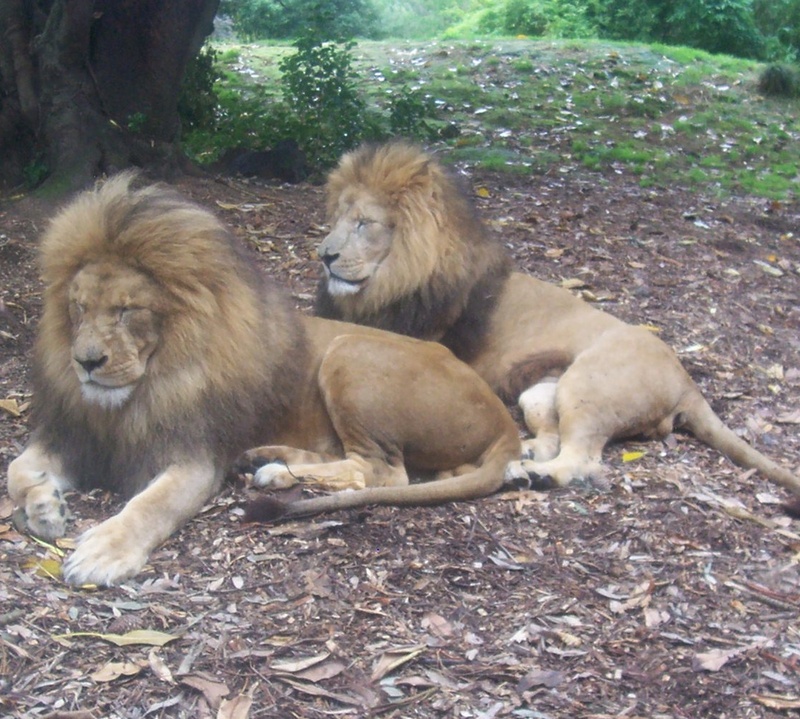 In 2002, Amali and Kutaza moved to Adelaide Zoo while Kuchami was transferred to Taronga Zoo. Kura then had another litter of four cubs in 2004; two males, Malik and Amari; and two females, Tiombe and Kibara. Lazarus was born in South Africa and came to Auckland Zoo in 2003. In 2012 Lazarus was transferred to Taronga Western Plains Zoo in Australia. Ngala was born at the Cango Wildlife Ranch, South Africa. He arrived at Auckland Zoo in 2003 with Lazarus. Ngala had to be euthanised after he was unable to recover from several health issues caused by an earlier injury. Sheeka was born in 1999 at Mogo Zoo, Australia, and is one of three lions currently at Auckland Zoo. She was hand-raised. On 20 Aug 2001 Sheeka gave birth to three female cubs, Djane, Djembe and Zhara, who were eventually sent to Wellington Zoo.